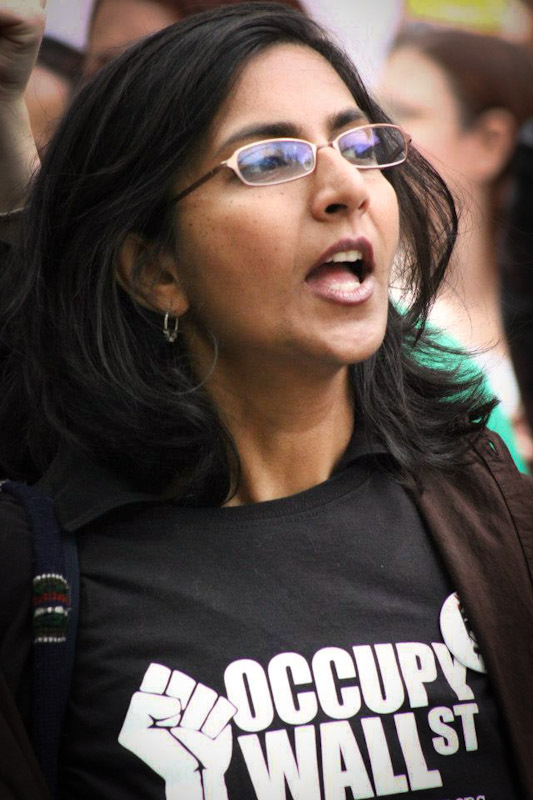 The campaign of socialist Kshama Sawant for the Seattle City Council continues to attract excitement on the left for her strong showing. A Counterpunch contributor recently called it a “highly significant” development. I wish her well of course. A socialist threat in the city of Microsoft, Amazon, and Starbucks is indeed heart warming. Hopefully the publicity will introduce some new people to socialism. But electoral campaigns are not a promising strategy for systemic change. As a native of Reading, PA, one of only three cities in the country that were once controlled by socialists (the others being Bridgeport, CT and Milwaukee, WI), I can appreciate the genuine positive policy implications (The Historical Review of Berks County noted in 1965 that “the Socialists should be remembered for having given Reading the best municipal government it has had within the lifetime of any Reading citizen today”) and hopeful symbolism involved. It’s a bit like the emotions stirred up by electing the first black president. History, however, forces us to cast a skeptical eye on this route. The idea of the revolutionary party goes back to Marx. Opposition to this conception of the path to socialism from Bakunin created one of the foundational splits of the anarchist-Marxist rivalry that has endured for generations since. Charged partisan score-keeping of these two factions of socialism is not particularly edifying in general, but on this question Bakunin is clearly validated by history. The party strategy was first exemplified by the Social Democratic Party in Marx’s homeland, Germany. The strength of European workers’ movements showcased the strengths and limitations of the method. On the one hand, workers were able establish genuine social welfare states that made the Nordic countries the envy of the world – but that marked the limit of their achievements. The ruling class remained. The reasons were always clear. If the party operates within the the existing political system it will stall within the structures of managed democracy controlled by big business. Its politicians will be corrupted or they will not be (re)elected. The mistake is in believing that mere popularity with the public is sufficient to win under such a system. By engaging in the electoral battle, one is naively perpetuating the illusion that the political structure is essentially democratic. Even if a party manages to achieve success while subverting the established political system, results are unlikely to improve. A party by definition seeks to install itself in power. Its aim is not – upon marching into the palace vacated by the old rulers – to reformulate governance so that power is distributed throughout society, i.e. to establish democracy, for that would be organizational suicide. Thus seeking to obtain socialist democracy through a party is a non sequitur. A parenthetical note on Lenin. Le Blanc assures us that “Lenin was concerned in all of his political thinking and activity with the question of what must be done – actually, in the real world – for the workers to take power.” The assertion is demonstrably false. It is hard to think of a misreading of history that has done more damage, given that it caused generations of revolutionaries the world over to follow a false star towards authoritarianism. Returning to the party strategy for achieving socialism, Le Blanc says “The responsibility of any revolutionary group worth its salt will be to help create the preconditions necessary for the emergence of [a mass revolutionary] party.” Le Blanc is a member of the ISO, one of the two largest revolutionary groups in the U.S. (the other being the IWW) and an organization which takes as a given the beliefs expressed here by Le Blanc. So clearly the old notion of Marx is still popular, despite its track record. The alternate danger is to leave a vacuum while disavowing power, which is sure to be filled by the unscrupulous. This was unfortunately what transpired when Zapata and his forces seized Mexico City and, after taking some iconic photos, simply returned south to their homes. It was an action that bestowed great honor upon him. This was no typical power-hungry charlatan. Unlike Villa, he refused to even sit in the presidential chair. Contrast that with Lenin. Having just seized power in Russia, Trotsky recounts that he smiled and said “The transition from the state of illegality, being driven in every direction, to power—is too rough. It makes one dizzy,” and crossed himself. Zapata was not dizzy with power. But subsequent events in Mexico would prove that leadership uninterested in power was not enough – more was needed: a vision of democracy. Filling the vacuum is a difficulty confronting not just Zapata but every activist. If a party is not needed, organization surely is. Institutionalizing protest in a democratic manner is the great challenge before us. It is the problem being tackled, successfully or not, by Occupy and the World Social Forum, by dissidents in Puerta del Sol, Tahrir, Syntagma, and Taksim. As a follow-up to the general theme, I thought folks might find of interest. I do not support the politics. Our organization, the Workers’ International Industrial Union advocates that organizing workers into revolutionary industrial unions, or something akin, for the purpose of putting the means of production of goods and services under social ownership and democratic control, is the only viable path to socialism. We do, however, advocate using political campaigns to articulate that revolutionary goal.